Denmark Frederik VIII Gold 20 Kroners are a classic example of royal Danish gold. At only a little bigger than their contemporary British Gold Sovereigns, they are far rarer. The represent a beautifully stunning and highly sought out piece of gold which makes them a popular and appealing choice for any investment, retirement, or world gold coin portfolio. Denmark Frederik VIII Gold 20 Kroners feature this Danish monarch who reigned in the Scandinavian nation from 1908 through 1912. King Frederik proved to be a relative of the majority of other contemporary European kings and queens through either his bloodline or marriage. He came from the family of Holstein-Sonderburg-Glucksburg. They make the impressive claim of being the oldest royal lineage in the entire world. The family traces its ancestry all the way to the Norse Chieftain Hardegon who conquered this part of Scandinavia back in the 800s. Only British Queen Elizabeth's family, which dates back to the grandfather (Egbert King of Wessex) of King Alfred the Great in the early 800s, can compete. This Danish 20 Kroner remains among the most beautiful and historic of the pre 1933 gold coins from Europe. The Kroner was first minted in the 1500s. It is the Danish word from crown which refers to the exclusive striking of these coins at the mint of the king. Thanks to the Scandinavian Coin Union of 1875, these gold 20 kroner coins were set as the fixed standard for value and currency in not only Denmark, but also Norway and Sweden. This coin union arose as a direct result of the continuing monetary crises which constantly issued and poorly disciplined paper currency created. The people burned these bank notes in the year 1728 in protest. The problem became so severe in the year 1814 that Denmark experienced outbreaks of public rioting and nearly collapsed under an inflationary spiral and financial crisis. Thanks to the currency union and issuance of gold coins, fiscal discipline and a system of fixed exchange rates were forced on the monarchs of Scandinavia until they walked away from the system when the First World War began. Six years after Frederik VIII became king, his son Christian X (pictured above) took over and continued the issuance of these beautiful gold coins. These pieces were all struck at the Copenhagen-based Danish Royal mint. The Denmark Frederik VIII Gold 20 Kroners minted from 1908 through 1912 only had a total mintage of 1,175,000. The continuation of them under King Christian X from 1913 to 1917 added an additional 3,668,000 pieces. Combined this amounts to a total mintage of no more than 4,843,000 coins from this historic area of Danish royal gold. By comparison, the French 20 Franc Angels were minted in quantities over 100 million while the British Gold Sovereigns saw an incredible over one billion coins struck. These coins provide you with more than simply the benefits of bullion gold. Because they are considered to be historic and collectible gold bullion coins, they do not fall under the U.S. government reporting requirements for brokers. They also deliver an incredibly limited supply, the benefits of strong collector demand, and additional premiums over spot gold prices thanks to their relative scarcity. The obverse is the numismatic world name used to describe the front side of coins. Denmark Frederik VIII Gold 20 Kroners appropriately feature the portrait of King Frederik VIII of Denmark on the obverse. His son's subsequent coins show the bust of King Christian X. Along the rim in a semicircle, the phrases “Frederik VIII,” “Danmarks,” and “Konge” are displayed. Coin collectors and investors alike refer to the rear side of coins by the name of reverse. Denmark Frederik VIII Gold 20 Kroners' reverse highlights the mantled coat of arms and crown over the coin's date of issue, value of 20 Kroners, mintmark of Copenhagen, and coin designer initials of Vilhelm Buchard Poulsen. Denmark Frederik VIII Gold 20 Kroners are legal tender in Denmark. Their face value of 20 Kroners will not purchase nearly so much as their intrinsic gold value of over $250 does. These world spot gold prices are what contribute the majority of the value to the pieces. There is a significant premium for the rarity and historical collectors appeal besides the gold content value. It is this market value of the coins that matters for portfolio pricing and the collectors of and investors in the coins. The market value gyrates up and down on a daily basis along with the world gold prices, which trade six days per week thanks to the important international gold centers of London, Zurich, Hong Kong, New York, Chicago, and Singapore that ensure gold prices are continuously updated and available every day except Saturday. You can immediately obtain the real time spot prices of gold simply by navigating over to our homepage. Can IRA Accounts Contain Denmark Frederik VIII Gold 20 Kroners? Denmark Frederik VIII Gold 20 Kroners are just rare and historic enough to make you wonder if the IRS will permit you to inventory them in your precious metals IRA retirement vehicle. They are the ones who alone decide which coins can be included after all. The Internal Revenue Service uses a two tiered primary strategy for determining which coins they will allow. This includes an exacting gold purity level of 99.5% as well as a low collector's premium on top of spot gold prices. To open up such an account, you will have to fund it with $5,000 worth of IRS sanctioned gold coins or a combination of gold and other precious metals coins which the IRS allows. After this point, you can add in only $1,000 in additional minimum purchases. It is easy enough to transfer over assets from any traditional forms of IRAs you already own. You do this by having your administrator initiate a roll over to the new self directed IRA. Regarding the verdict on these Denmark Frederik VIII Gold 20 Kroner coins, they only possess a gold purity of 90%. Besides this, the coins enjoy a healthy collector's premium because of their comparative scarcity to modern day bullion gold coins. 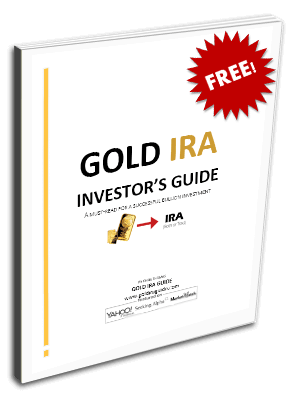 While you can not count these beautiful examples of historic Danish gold in your IRA account, they still make excellent selections for those discriminating investors and collectors who value their financial privacy. You can buy them from world gold bullion and coin shops and websites in Europe and internationally.